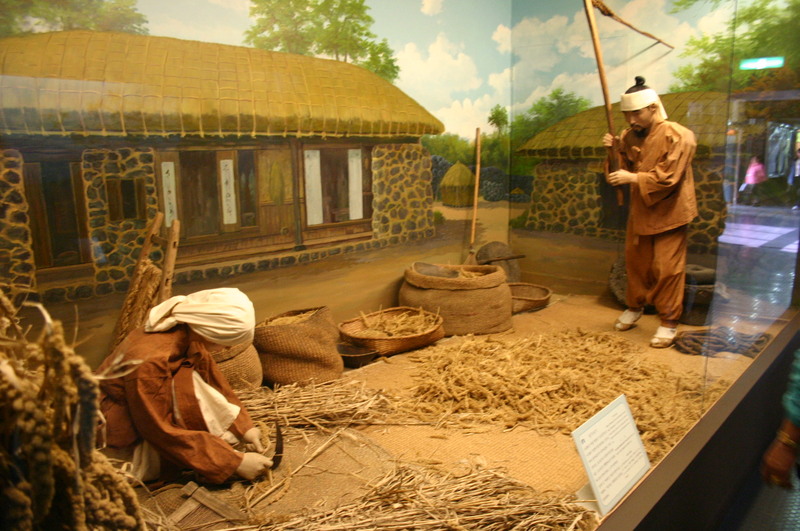 See how the local people lived through history at Jeju Folklore & Natural Museum, featuring four main exhibit areas each dedicated to a different topic. See thousands of artifacts on display, or visit the video room to watch a short film about the local way of life. The outdoor park showcases several historical sculptures, and serves as quiet place to sit on shaded benches and take a break. Work out when and for how long to visit Jeju Folklore & Natural Museum and other Jeju attractions using our handy Jeju tour itinerary planning app . This place is a historical tour of forming of Jeju Island from volcanic rocks on display in front of the museum. Unfortunately I came Monday when the museum is closed so I can only berfoto-foto on the lawn of the museum. On this page there are several statues and rock into museum collections. This place is connected with the existing parks in the South and East of the museum so as to create suitable sports morning. It is one of the best explanations of Jeju Island's museums. It is worth visiting adults to have a great visual exhibition of geology, folklore and oceans.